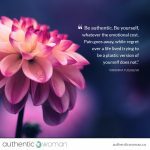 When Jo and I set out to create our beautiful purpose-driven business Authentic Woman, to inspire all women to truly be ourselves, I had no idea the powerful way in which this purpose would be mirrored back on me. I have behaved dishonestly, in a way that is anything but authentic, and in a way that is out of alignment with my personal integrity and values and the integrity and values of Authentic Woman. Over the early weeks of this year I plagiarized eight of my Authentic Woman social media posts from other women’s experiences and words. I can still feel waves of shame shooting through me as I write these words. I am truly shocked by my behaviour, which was called out by the women. The hurt I have caused others, the women I stole from and especially Jo deeply saddens me. This was all my own doing and Jo had no knowledge of my dishonourable behaviour and we are in a deep process of our own with this. Where change and healing has happened and is still happening on a truly meaningful level is by taking myself through the heart of this, which is to meet it directly, not squirming away and by making amends as best I can. Doing it with as much self-compassion as I can muster. Talking to those I love and now writing to you as part of this community is a crucial way for me NOT to hide, because it is from those I love and care about most that I want to hide. Such an old and sizable part of me believes you will stop loving me, respecting me, that I will be cast out, disowned, which feels unbearable. So this part also wants to bury all this away from you, hope you will never find out. Yet when I told Jo fully what I’d done she told me she loved me. Which sent me reeling with both disbelief and the most profound relief. When I told Ruby (our other beautiful partner in Authentic Woman) she did not judge me, she lovingly sat shoulder to shoulder with me. When I told my life partner I received nothing but compassion, love and a strength of support I’ve never known. These unexpected responses have shifted something in me at a cellular level. How did this happen? There are many layers to this depending on the lens I’m looking through. From my own personal psychology this is about valuing myself on an even deeper level so that I can finally say ‘enough’. Which means holding my being more important than my doing. It means taking even more time to rest and move from my organic inner rhythms. It means properly honouring this later stage of my life. It means coming out from behind the standards and measures of success that I’ve lived by for so long – the primacy of work, meeting far too many ‘what will they think of me, what do they expect of me’ driven standards and goals. 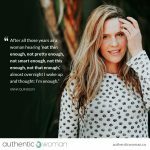 It’s about living more securely from the knowing that I am already enough – worthy enough, lovable enough and in this hold acceptance and compassion for all my messiness and shortcomings. This isn’t easy. This is a journey I’ve been on for some time now yet I’ve had this huge blind spot and it has taken me completely out of alignment with my integrity, with my core values of honesty and authenticity. 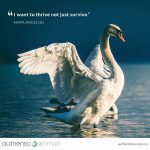 In this blind spot I could not acknowledge to myself that I needed to take the pressure off, I could not let myself admit I needed rest from the churn of the way I worked – rest from my ego’s high standard. I couldn’t fully face that I will never be able to play the familiar and very comfortable role of ‘expert’ in this work the way I did in my more technically based corporate work. What I have come to know as my inner oppressor was hard at work ensuring I still worked in a high-functioning way even with work that is all about uncovering the female myths of high-functioning. The myths that tell us we are only worthy, only lovable when we’re doing it all, doing it perfectly and never letting them see us slip. In many ways, I now understand my plagiarizing behaviour as a cry for help. This work requires listening to my rhythms, my instinct and my soul whispers. It means that I need to honour my knowing that Authentic Woman needs to grow at a more organic pace. That I need to live and work at an even more organic pace. I realise I’ve never believed myself worthy enough to follow a path of ease, despite my intuition and my soul always wanting to take me there. I have heard my own cry for help now. The other lens through which I’m understanding and experiencing this is the systemic view. 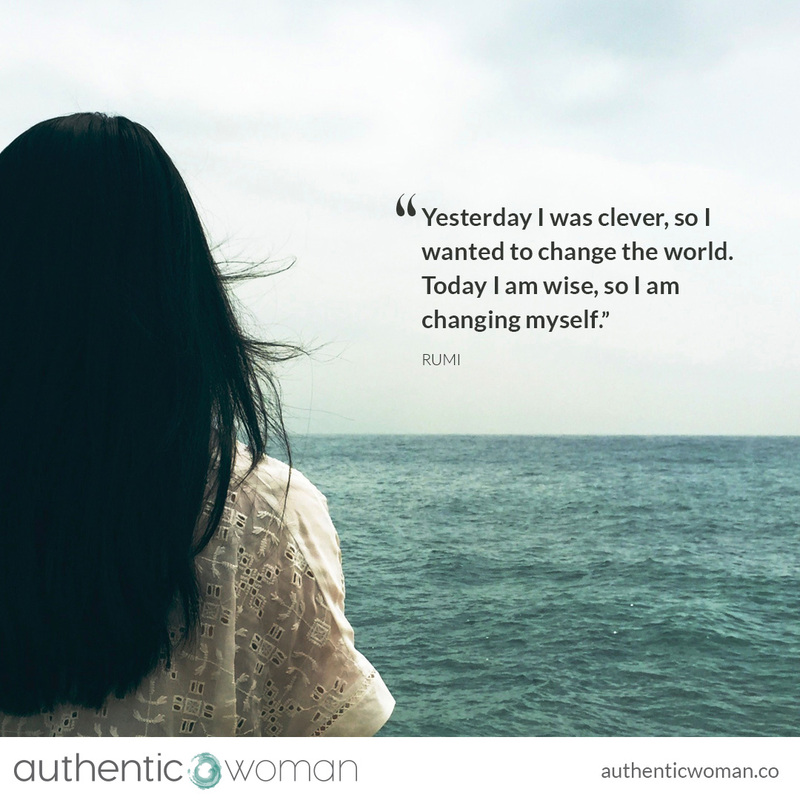 I believe that what Authentic Woman teaches – authenticity, self-awareness, self-compassion – are being amplified back on me to bring me into more integrity with the heart of our business, bring me into more alignment and honouring of the practice of compassionate self-awareness for all women. Only when I hold myself with self-compassion, self-love can I truly feel the pain I’ve caused Jo and Ruby and the women I’d stolen from – in shame I can’t wholly look at what I’d done, I turn away and even deny their pain – only in self-compassion and self-love can I feel their pain, their sadness and I’m able to more fully turn towards the suffering I have caused and more fully make amends. Only in self-compassion, self-love can I fully feel my own pain, can I sooth myself, can I reach out for support and love. While the critic and the judge are present and the dark veil of shame descends I am unable to fully feel even my own pain – I feel very alone, feel an outcast and this sends my system into threat, from threat there is only fear, from fear there is only fighting with myself round and round and round or freezing, feeling nothing. I’ve faced so many layers of the judge, the critic and punisher in myself. The one who believes my dishonest behaviour reflects the true nature of my character, the one who believes I should never be forgiven, never find peace again. Who believes I have no right to continue practicing as a psychotherapist, a mindfulness teacher, a mentor. 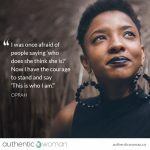 No right to continue to journey with you here in the Authentic Woman community. Yet through this process I’ve had experiences to a depth I never thought I could bear. Experiences of great shame and achingly profound vulnerability and I’ve met my inner judge, punisher and oppressor on a whole new level. Having experienced all of this in myself, so viscerally, so strongly – this has been one of the strongest experiences of shame and vulnerability of my life – I feel I can now hold this depth of shame and vulnerability and know well the judge, punisher and oppressor when it shows up in my clients, in my communities and myself. 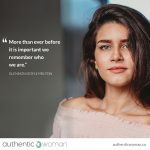 I now believe I have the capacity to be a better practitioner, a better companion to you on this very human journey towards more authenticity, self-awareness, self-compassion and thriving than I’ve ever been before. My capacity for empathy and compassion has grown significantly. I’ve really noticed with friends, colleagues and even listening to the news, I have so much less judgement arising and as soon as it enters my mind or I hear it coming out of my mouth this phrase comes to mind: ‘who am I to pass judgement?’ In its place I feel into my own flawed, messy and vulnerable humanness and more understanding and care arises. I have gravely caused others pain – my beautiful business partners Jo and Ruby, the women I stole from adding ultimately to the pain of all women who have had their work, their ideas, their energy and their dreams co-oped by others. Authentic Woman supports an organisation called Maiti Nepal http://maitinepal.org whose vision is “A Society Free From Trafficking Of Children & Women”. I have made a personal donation, a sizable donation given my personal financial situation and I have made it with the intention that some good for other women will come from this dishonourable situation. As a way to make some amends to all the women that I have wronged and that other women will benefit from my grave mistake. May my working with all of this, with as much self-compassion and self-love as I’m able to call on in each moment, support all women to turn to themselves with more compassionate self-awareness in their hardest times and find, yes vulnerability, but also more truth, love and soul-alignment. Thank you for listening, for your warm heart, for being a companion on this shared human journey. I know these words will land in many different places in you and I honour all those places.